The number of demonstrators in Basra , on Thursday, the burning of a number of headquarters of political parties in different parts of the province. A reporter for Alsumaria News, said that the headquarters of the movement was shot and the headquarters of Asaib Ahl al-Haq and the movement of Najba and supporters of God loyal. He added that the demonstrators also burned the headquarters of the Dawa party and the Virtue Party and the Supreme Council and the Office of the Badr Organization and headquarters of the Hezbollah Brigades and headquarters of Saraya Khursani, in addition to the House of the conservative governor, and the office of MP Faleh al-Khazali . "This caused considerable material damage to these offices and offices," he said, adding that a number of demonstrators were burned. 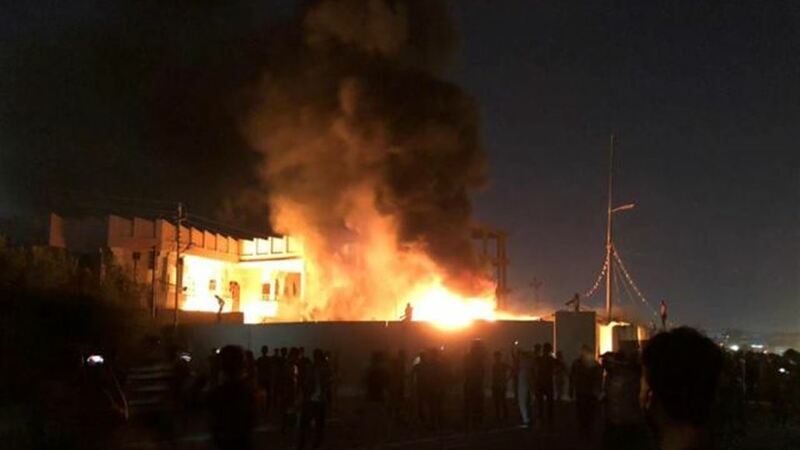 A local source in Basra said on Thursday that a number of parties' headquarters in the province had been burned. Basra province has been witnessing for months angry demonstrations demanding services, primarily drinking water and electricity, and developed into the intervention of security forces, killing a number of demonstrators and wounding others.